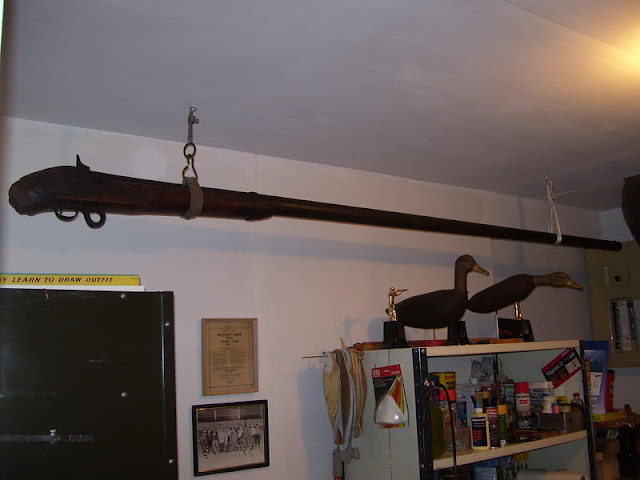 Carl's Curios: Bit of a mixed bag again ~ see what you can make of 'em. Bit of a mixed bag again ~ see what you can make of 'em. (5) Punt gun. One of Ernie James' ? (8) Portable treen chess set ? But you haven't got the right answer ~ look closer at the board and the pawns and maybe you can buff up your answer. 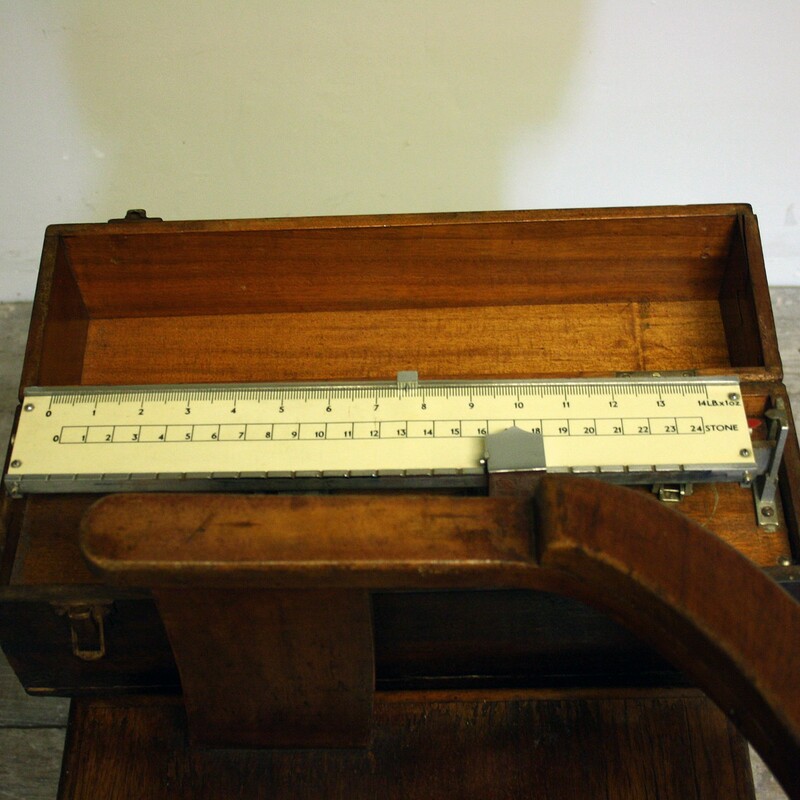 (7) Possibly a weighing device. As it's marked up to 16 possibly marked in ounces. 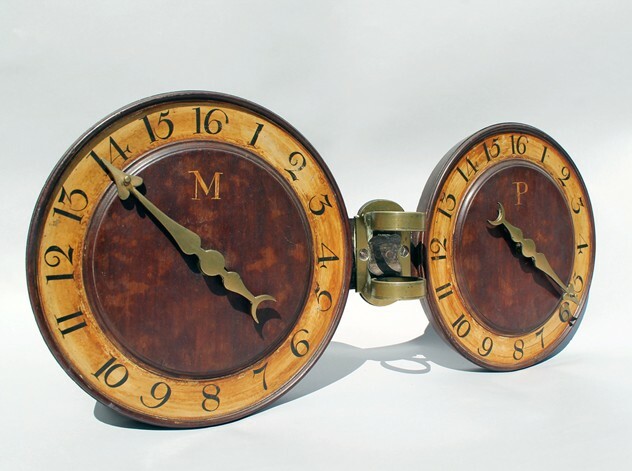 There are just the two dials with a clamp for a post between them and two manually movable pointers (note the 'pips' near the ends of the pointers). 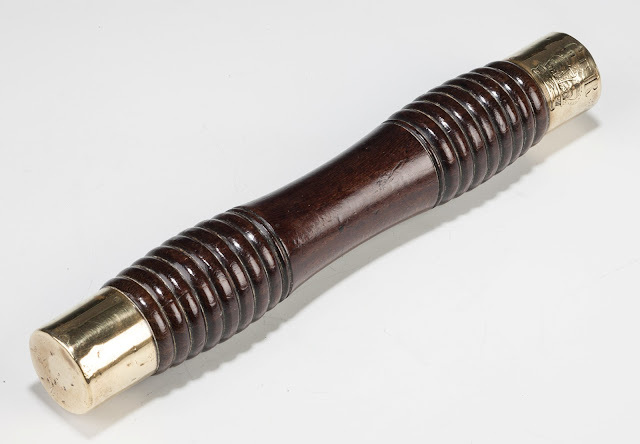 A tipstave, walnut and brass. English. Temp George IV, circa 1825. Brass head probably unscrews to contain warrants. Just as you say Mike but a tad later, it's unclear on this picture but it's marked for King Billy, 1830-1837. Don't know why, but I prefer the variant spelling, tip-staff. 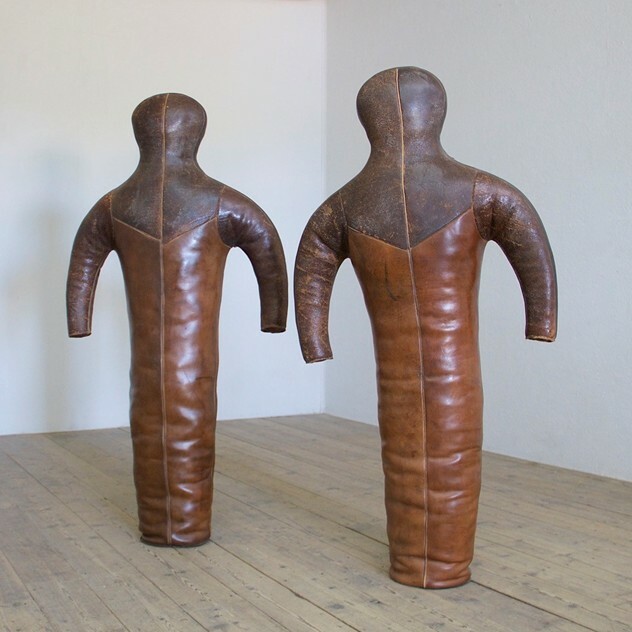 (4) Leather sprung boxing dummies. 19th century. Yes Mike, forerunner of the punch-ball and punch-bag, I believe. 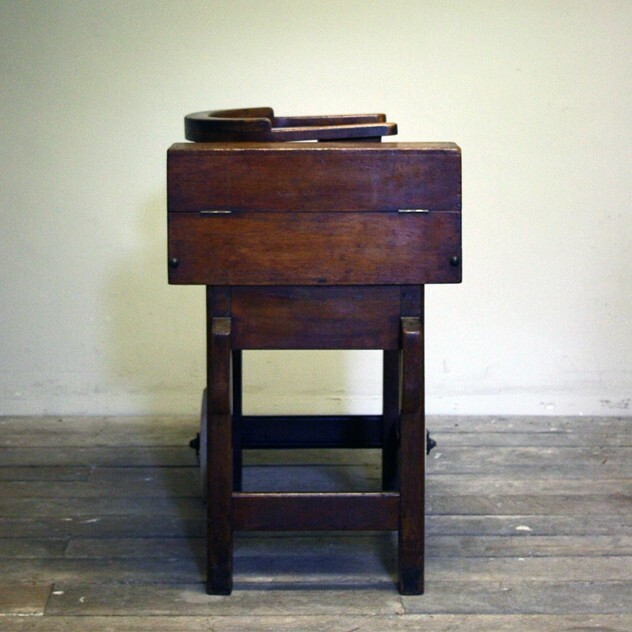 New picture 3.c may make identifying object 3 a tad easier. 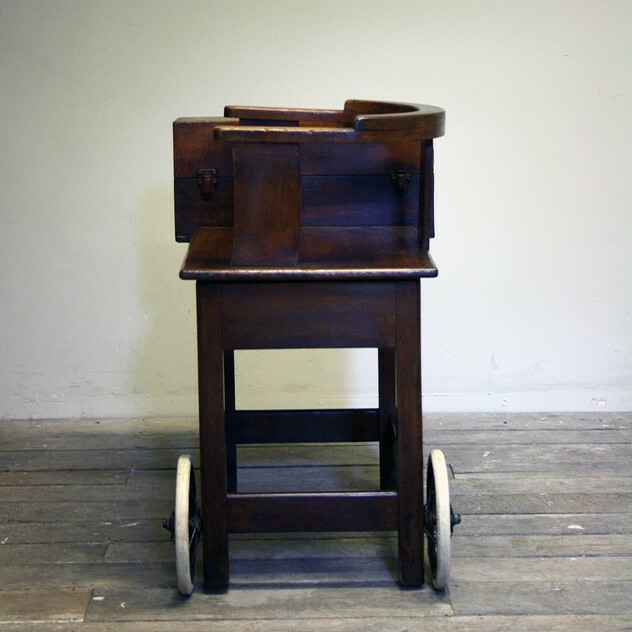 3 is a Jockey's weighing scales. 1. 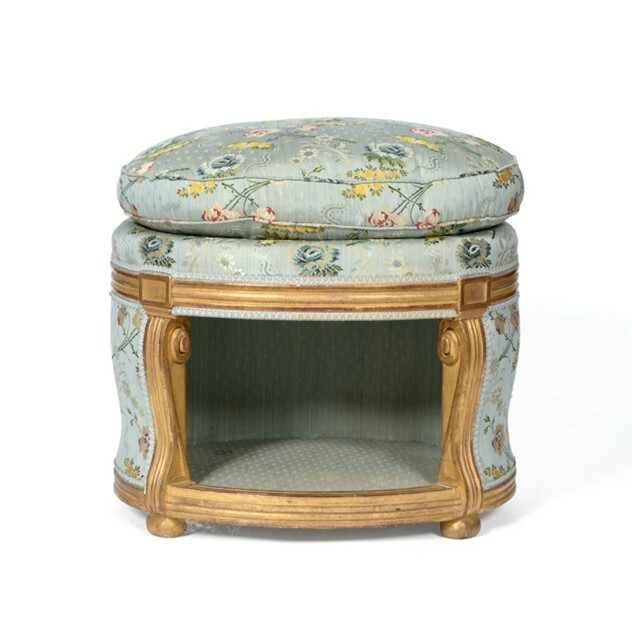 French stool (Louis XVI) style with accommodation for a small lap-dog. 7. Indicators of mail-coach arrivals & departures originally set up on a post in a coaching inn yard. 8. 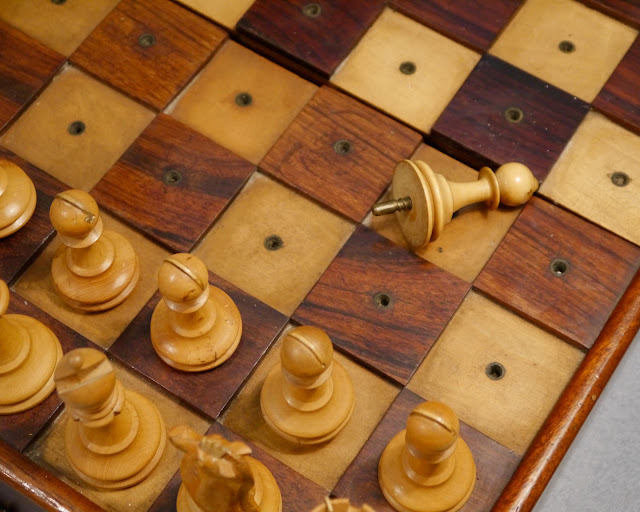 Staunton tactile chess set for blind players.